Crackling tension. 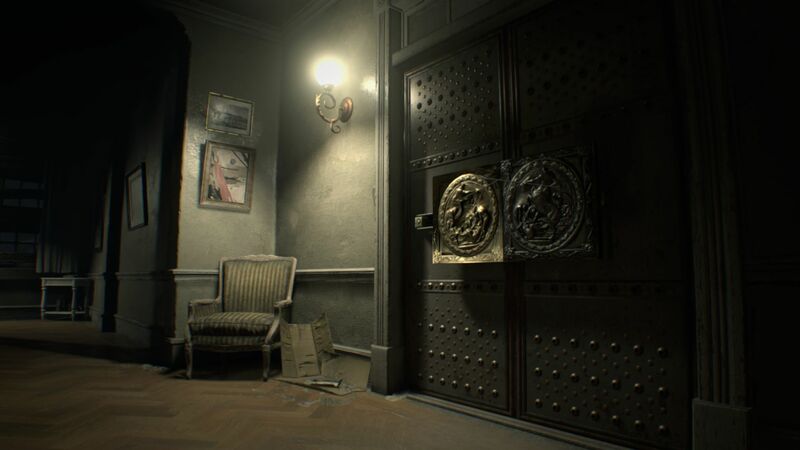 It is once again time for heart attacks: The latest title from the Resident Evil series focuses on the strengths from the first games and convinces with a thrilling single-player mode. 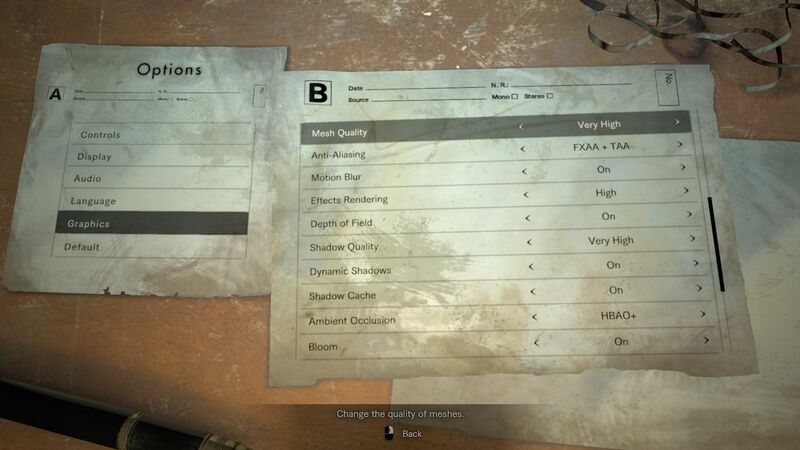 PC gamers will be mainly shocked by the VRAM requirements. 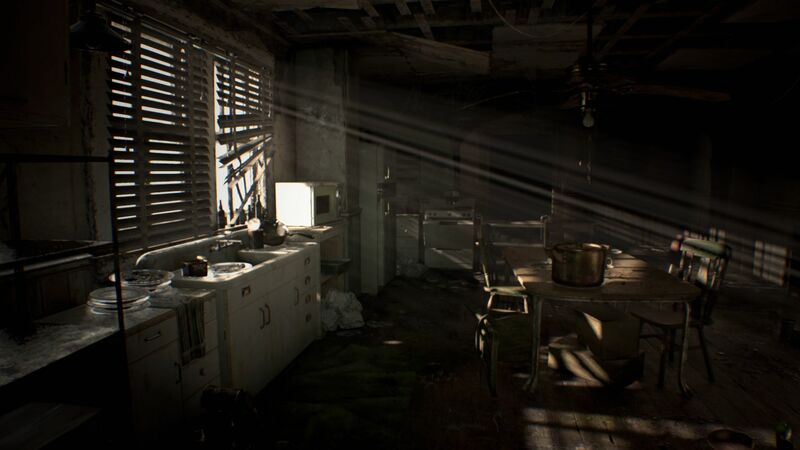 We were thrilled by Resident Evil 7's gameplay right from the start. 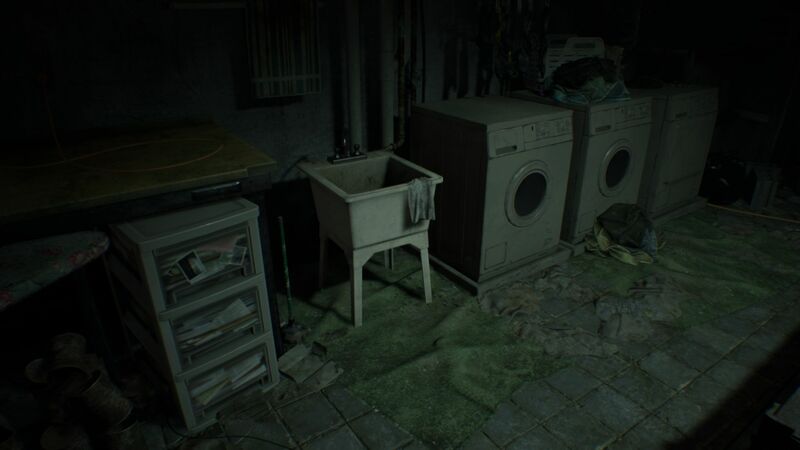 Developer and publisher Capcom decided not to follow the current action trend (high speed, unrealistic high number of enemies, …) and presents a rather leisure, but very intense horror story, which can also produce ice-cold shivers on mature gamers. 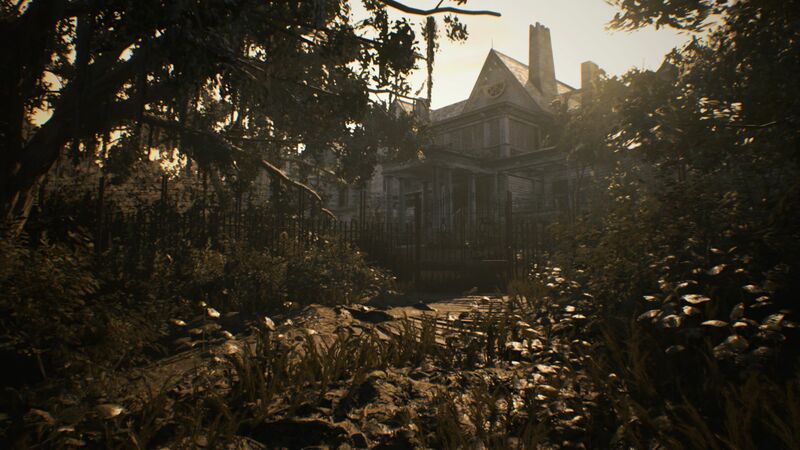 Yes, the controls were primarily developed for gamepads and the mouse feels pretty spongy in the menus, but the overall handling of Resident Evil 7 is decent. That Capcom does not ignore PC gamers is evident when you see the comprehensive video menu. It requires some scrolling, but you can perfectly adjust the settings to your system in return. All changes are applied without a restart, so the tuning does not take too much time. 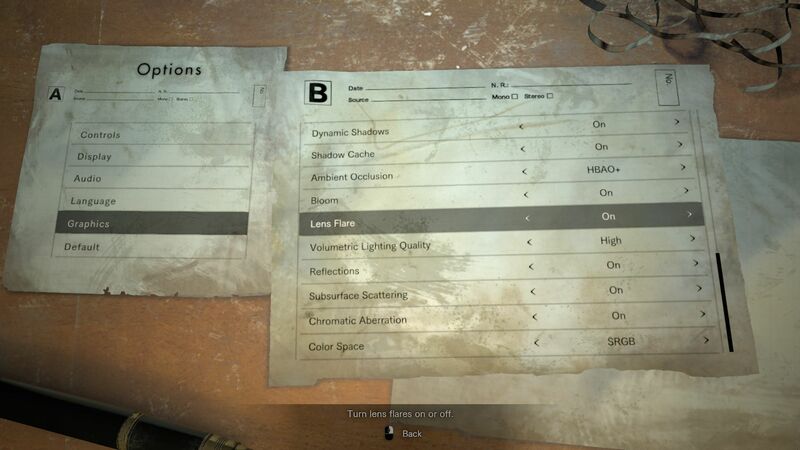 However, some settings can only be changed in the main menu and there are no presets. Scrolling through the options reveals some surprises. Resident Evil 7 supports upscaling and downsampling (we use the base value 1) as well as HDR on corresponding monitors by default. Players can also adjust the maximum frame rate; you can just use "variable" when you do not want a limitation to 30 or 60 frames per second. V-Sync can be disabled as well. We would definitely recommend the rendering method "normal", because the picture will otherwise be much blurrier. Speaking of sharpness: The title offers several post-processing modes for anti-aliasing. Besides FXAA and TAA (optionally combined), which applies some sort of soft focus, the game also supports SMAA. However, none of the modes is fully convincing. The anti-aliasing cannot be fully deactivated, either, which is unfortunate for users of less powerful systems. 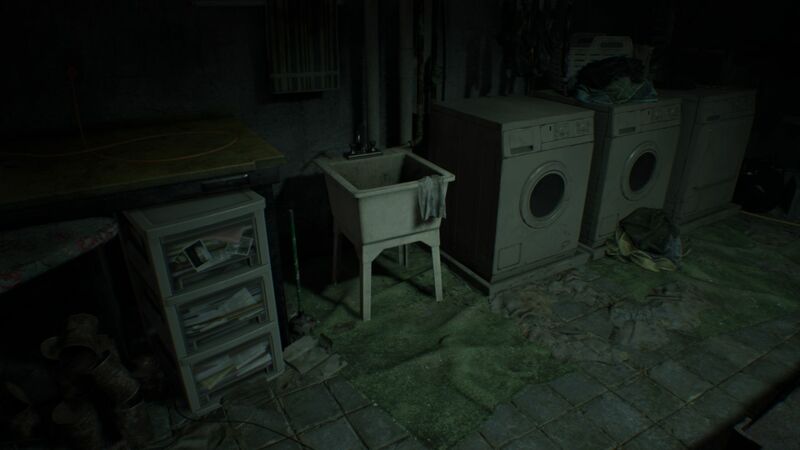 However, entry-level and mainstream notebooks handle Resident Evil 7 pretty well when you reduce the settings and the resolution. The performance is much better with low settings. Higher details and resolutions will depend on the amount of video memory. 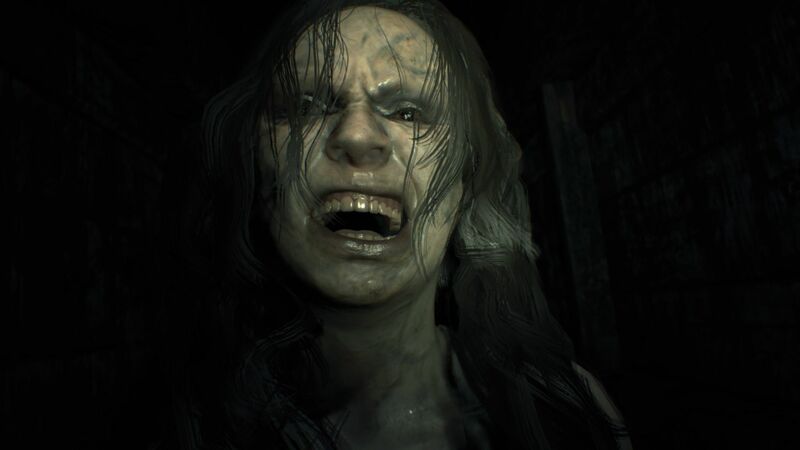 Less than 4 GB result in heavy stutters that affect the gameplay of Resident Evil 7 quite significantly. High-end GPUs with 6-8 GB on the other hand never have performance issues. One problem right now is the option Shadow Cache, which seems to be buggy or poorly optimized. Contrary to other articles (like PC Games Hardware, for example), however, we saw better results with activated Shadow Cache compared. You should therefore try it yourself and just select the faster option. The RE engine otherwise leaves a mature impression. We never had problems with crashes or bigger graphics issues (except for some flickering textures and some clipping issues) when we played the game and ran the benchmarks. 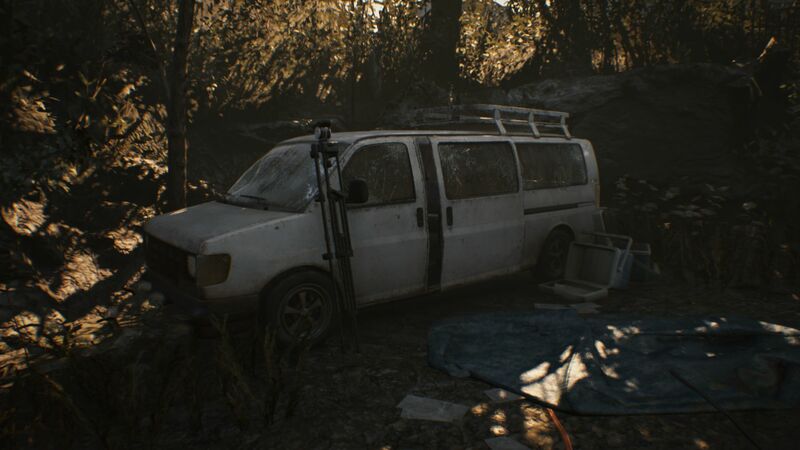 The graphics bugs might also be related to the brand-new graphics driver from Nvidia and AMD, which were just released for the launch. 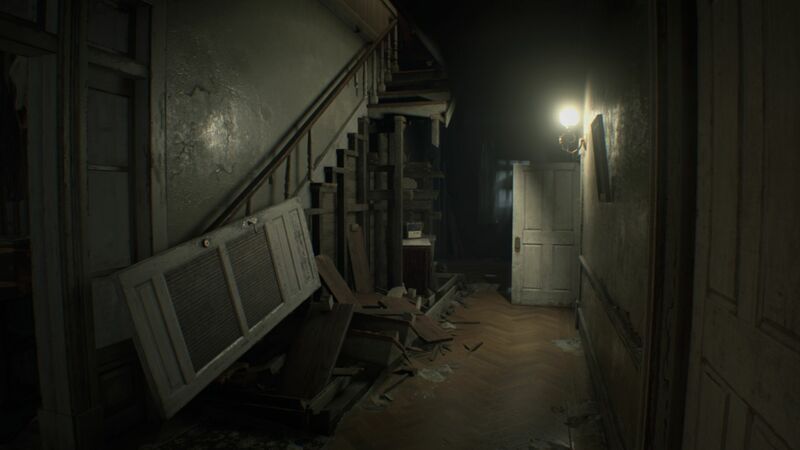 The survival horror does not need too much space on the hard drive. Around 23 GB (20 GB download) are okay compared to other titles. Many triple-A games from 2016 required up to 70 GB (like Call of Duty Infinite Warfare). The loading times are also okay. 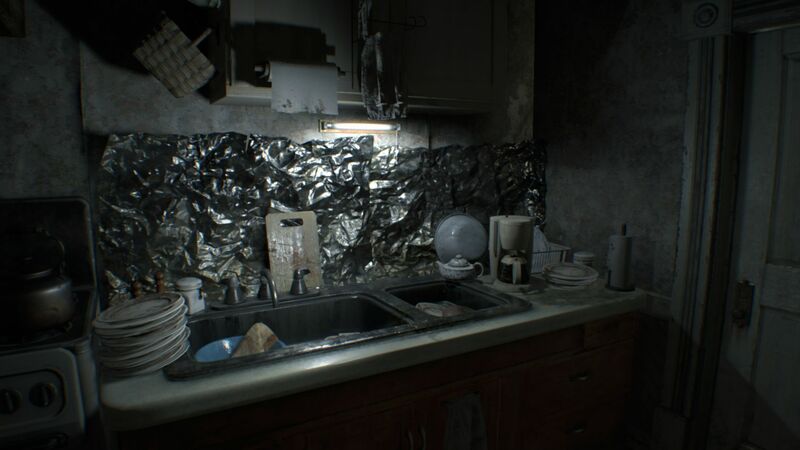 The visuals of Resident Evil 7 leave mixed results. We like the well-animated characters, the detailed indoor environments and the atmospheric illumination. 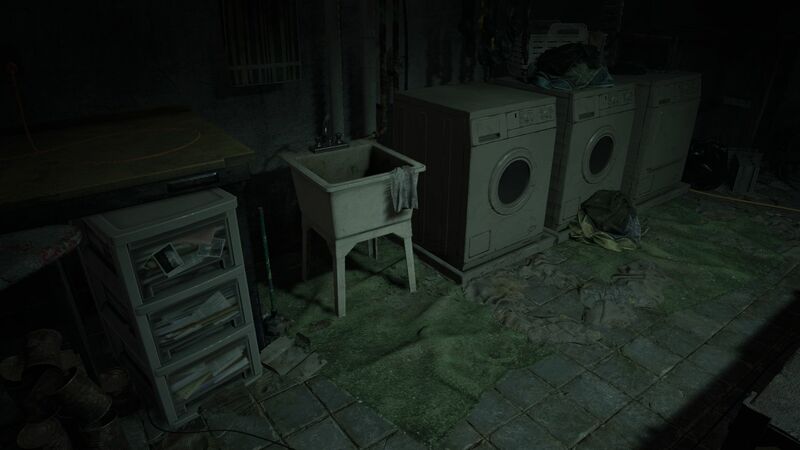 We have to criticize the rather ugly outdoor environments and the mediocre texture quality. 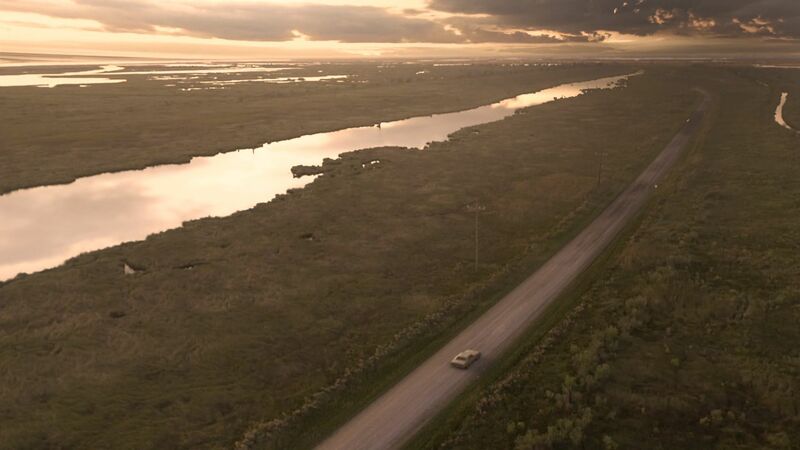 Surfaces often look blurry from a short distance – even at the highest graphics settings. 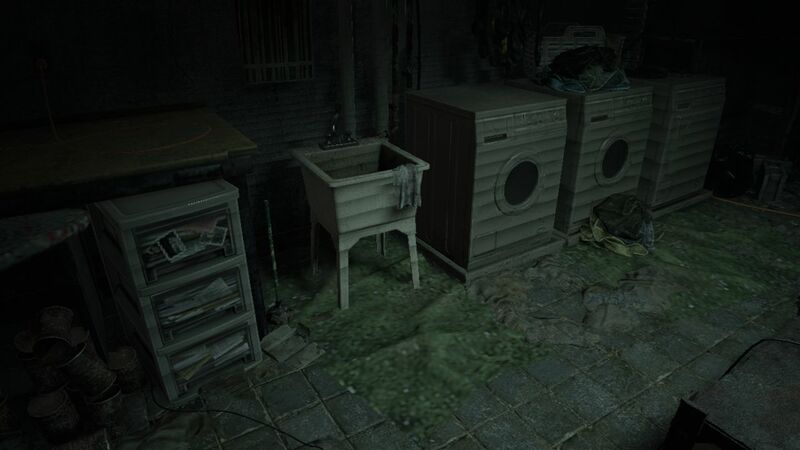 Still, you can easily overlook these shortcomings thanks to the terrific atmosphere and the perfect art design. 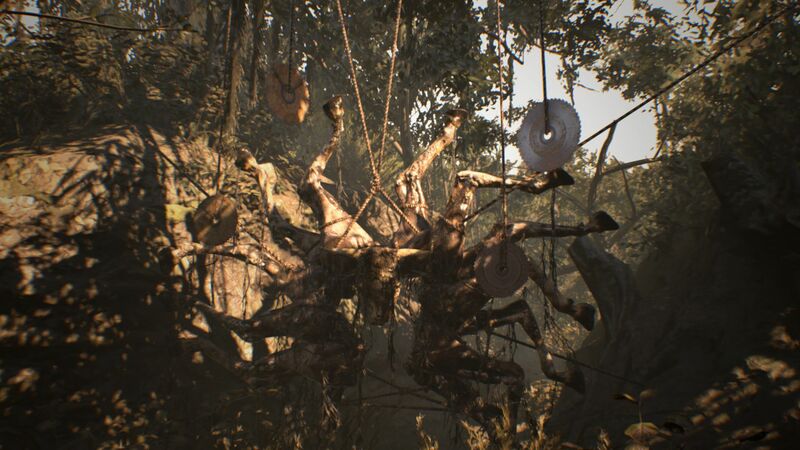 One problem is the Denuvo protection of the game, which only allows a limited number of new systems/activations per day and therefore makes it hard to perform the benchmarks. Steam does at least mention it in the shop. We use the first building you enter right after the intro for our benchmarks. We run down the stairs from the save point on the first floor and then enter kitchen on the left. We then circle around the table to get back to the hallway and then enter the second door on the right into the living room. Our recording with the tool Fraps stops right in front of the window (compare video). Our ~30-second sequence is representative for the average performance, so it is a good indicator. 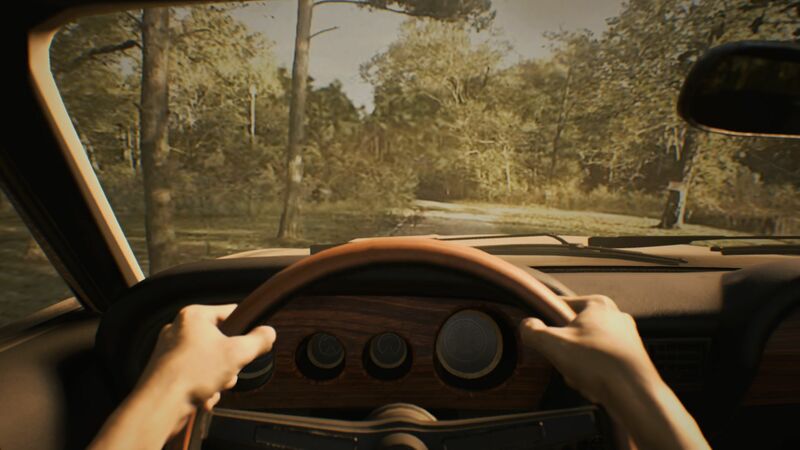 Resident Evil 7 plays in the first-person perspective, so you should target more than 35-40 FPS for conveniently smooth gameplay. We start with the high settings for our performance evaluation. If you want to play on an UHD/4K display with nice visuals, you need a high-end GPU like a GeForce GTX 1070. 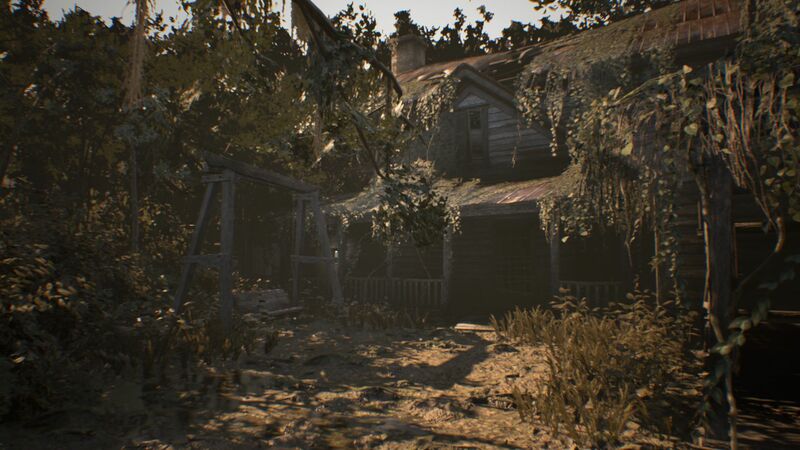 Resident Evil 7 is much less demanding in 1920 x 1080 pixels, but you should still have a GeForce GTX 970M for maximum details, and a GeForce GTX 960M for high details. All-round GPUs like the Geforce GTX 950M can handle normal settings. Low-end chips like the Intel HD Graphics 4600 are usually limited to low details and resolutions up to 1366 x 768 pixels. The CPU impact is limited based on our experiences.